Industrial suppliers and service providers in Australia with a documented content marketing strategy are far more likely to be effective at content marketing than those without, according to the Industrial B2B Content Marketing Survey 2015 Benchmarks and Trends Australia by Wade Business Media. The overwhelming majority of respondents (80 per cent) that said their company was effective at content marketing were from companies with a content marketing strategy and half those companies had a documented strategy. Respondents that said their company was ineffective at content marketing were all from companies that did not have a documented content marketing strategy. Surprisingly, the survey revealed that 35 per cent of respondents were from companies that did not use content marketing, and only half of respondents from companies that used content marketing said their company was ‘effective’ or ‘somewhat’ effective at content marketing. In total, only eight per cent of respondents were from companies that had a documented content marketing strategy although 32 per cent said their company had a content marketing strategy, but it was not documented. Customer retention and loyalty was the most important content marketing goal followed by sales then lead generation. The overwhelming majority of respondents (70 per cent) said sales was the main metric for assessing content marketing success. This was followed by sales lead quality (40 per cent) and qualitative feedback from customers (35 per cent). Only five per cent of respondents said their company was successful at tracking the ROI of their content marketing program. One in four companies are producing more content than a year ago and one in ten significantly more. A total of 35 per cent of respondents said their company was producing the same amount, as a year ago. Most companies (40 per cent) target two to three different audiences, while 20 per cent target four to six different audiences. Articles on the company website was the most used content marketing tactic (65 per cent) followed by in-person events (60 per cent), eNewsletters (50 per cent) and case studies (45 per cent). However, in-person events were deemed the most effective tactic, followed by case studies and eNewsletters. 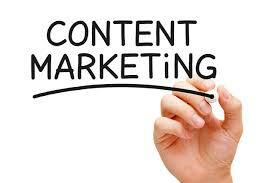 The most effective content marketers published content weekly or multiple times per week. Overwhelmingly, print and other offline promotion was the most used paid advertising method at 70 per cent. Social ads e.g. LinkedIn ads was closest at 35 per cent followed by Search Engine Marketing (SEM) at 25 per cent. However, social ads was deemed the most effective paid advertising method, followed by print and other offline promotion then SEM. Most respondents (45 per cent) said less than 10 per cent of their company’s total marketing budget – excluding staff – was spent on content marketing. A total of 35 per cent of respondents expect their company to increase their content marketing budget in the next 12 months while 20 per cent expect it to remain the same. The biggest challenges to content marketing were (1) lack of budget, (2) producing content consistently, (3) measuring content marketing effectiveness and (3) a lack of buy-in or vision from higher-ups. The current areas of focus among industrial suppliers and service providers in content marketing are (1) gaining a better understanding of audience, (2) creating more engaging/higher quality content, and (3) finding more/better ways to repurpose content. The survey conducted by Wade Business Media canvassed the use of content marketing across 28 industrial B2B marketers in Australia.